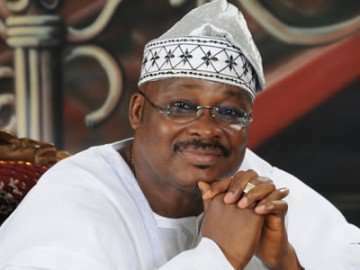 Oyo State Governor, Abiola Ajimobi, said his administration has secured bond to complete all road projects in the state in order not to leave behind any uncompleted project after his tenure in 2019. He disclosed this when he addressed newsmen, yesterday, after he inspected some roads billed for expansion in Ibadan. The governor did not, however, disclose details of the bond. One of the road networks, which the governor said would be expanded is the Agodi Gate-Beere-Alekuso-Orita Merin-Gege-Agbeni-Amunigun-Ogunpa-Dugbe Road. The governor also ordered stoppage of work at a fuel station under construction at Agodi Gate because of ongoing expansion of Oke Adu-Agodi Gate-Idi Ape-Iwo Road. He said the owner of the fuel station would be compensated. Meanwhile, majority of market women along Agbeni-Ogunpa jubilated when Ajimobi told them his administration will expand the road by April, adding that the road expansion will boost activities in the markets in the area. “Beginning from next month, we will start the expansion of this road from Agodi-Gate, straight to Dugbe to relieve commercial activities and stop display of wares on the road. “We know that the road expansion will increase your sales and open these markets to more people to do buying and selling; it is all for your good. “We have secured a bond as financial support to execute the project,” he said and urged the people to cooperate with contractors when work resumes, saying their cooperation would lead to speedy completion of the project and assured them that his government will continue to embark upon people-oriented projects which will bring about economic relief despite the recession. “With the joy on their faces (traders) for this development, we are happy that we have made the right decision in picking on this project. “Our government will always embark upon people-oriented projects which we are sure will always bring relief to our people,” said Ajimobi. He also described as natural, the feeling of some people whose property would be affected by the road project.